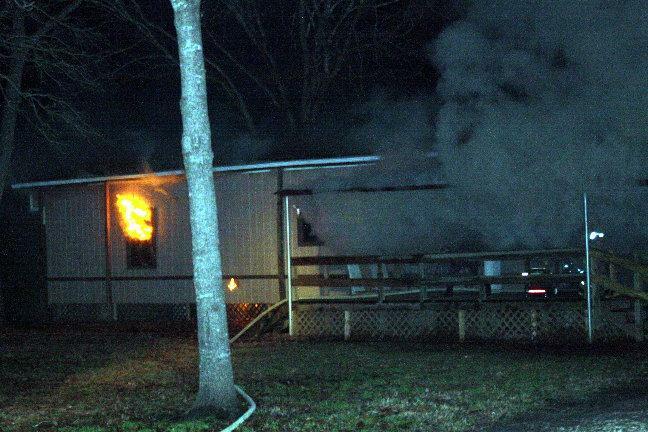 Fire Torches Mobile Home, LIVINGSTON, January 30, 2010 - Shortly before 6 pm on January 29, 2010 a fire was reported to the Polk County Sheriff's Office. 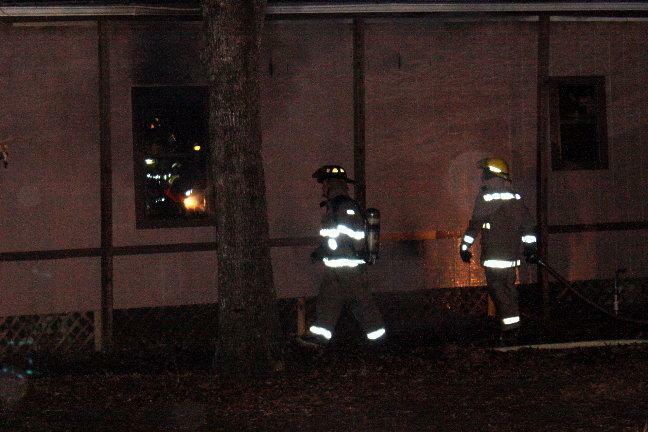 The fire was located at 284 Clover Leaf Lane just a short distance off of Mangum Road near FM-350 South. Polk County Sheriff's Deputy Christian Schanmier was the first emergency personnel on the scene followed by Deputy Keith Franklin and several trucks from the Scenic Loop Volunteer Fire Department. 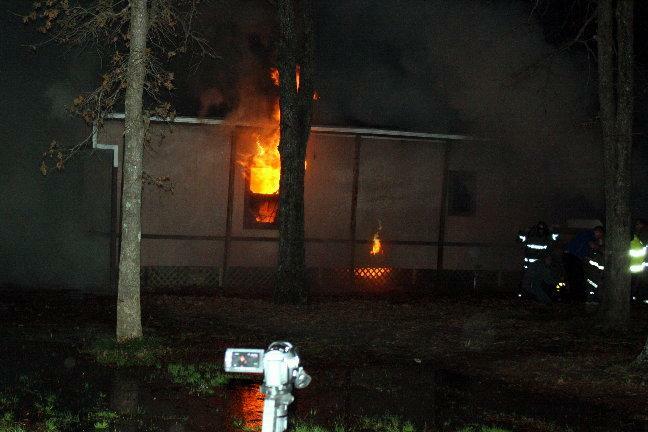 When firemen arrived, they found the mobile home heavily smoking, and locked up. Firemen had to break the door in, in order to get to the fire. 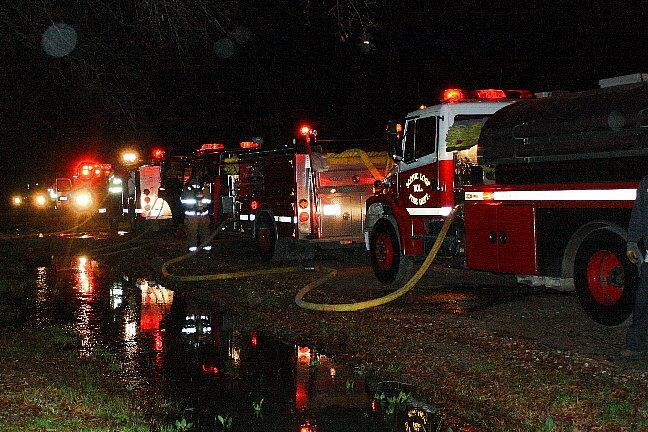 The fire quickly intensified and was soon coming out of a window and also was coming through a wall, however, the firemen were able to get the fire out before it totally consumed the trailer. The owner of the mobile home, Gary Hicks of Houston, was not present and was reportedly in Houston during the time of the fire. The fire was out by 6:30 pm. At time of press, it is not know to PolkCountyToday.com whether or not Hicks had home owner's insurance. At first, only smoke was visible coming from then house, the all the sudden flames started coming out through a window. Flames come through the window, floor, and begin to come through lower wall. Scenic Loop Firemen were able to get the blaze under control (note one fireman now in the mobile home peering through window with a flash light where there had been a fire). 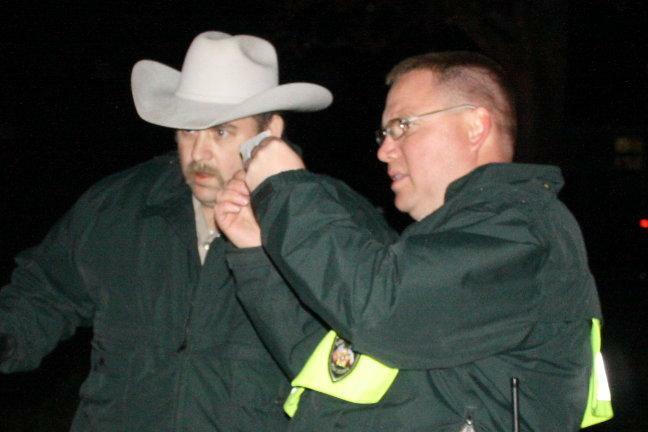 Deputy Keith Franklin (left) and Deputy Christian Schanmier. Scenic Loop sent several fire trucks and a handful of fire fighters.